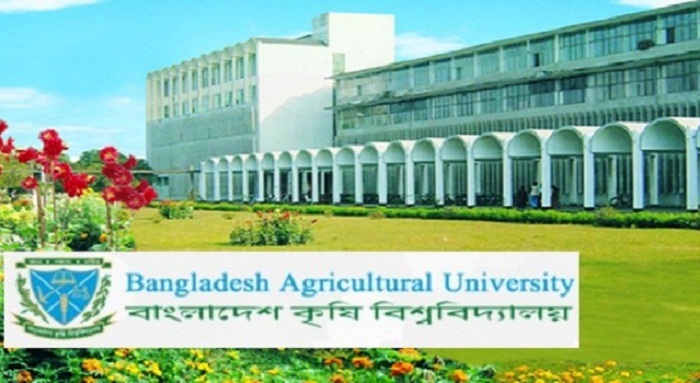 Pro-Awami League teachers of Bangladesh Agricultural University (BAU) have become aggrieved as the authorities concerned have awarded many key posts of the public varsity to pro-BNP and controversial teachers. Teachers loyal to the incumbent government say that the chain of command at the BAU administration and academic activities have almost collapsed due to ‘controversial’ activities of some persons. Prof Rafiqul Alam, general secretary of Democratic Teachers Forum (DTF), a platform of pro-government academics at the BAU, told the daily sun that those, who change party, do so with specific intention. “I think it is not a good practice to award important posts to intruders of any organisation as they have a specific motto. It is essential for any organisation to evaluate dedicated persons,” he said, replying to a query. The DTF leader, however, said they cannot close their doors if anyone enters the organisation, changing previous ideologies. A section of teachers loyal to the DIF alleged that such a situation arose at the university as Vice-Chancellor Prof Ali Akbar, who was an active member of pro-BNP teachers’ panel, has started to include his aides and controversial teachers in the BAU administration. Prof Ali Akbar, an ex-member of the executive committee of the pro-BNP teachers’ panel Sonali Dal at the BAU, got appointment as its vice-chancellor in May, 2015. Documents available reveal that Prof Ali Akbar performed duties of Sonali Dal executive committee member at BAU in 1994-95 and 1996-97 and was a member of its election steering committee in 1997. Sources at BAU alleged that Ali Akbar changed his political colour a few years ago and bagged the top post of BAU with the blessings of an influential AL leader of Bogra who became a reformist during the 1/11 changeover to minus AL President Sheikh Hasina from politics. The teachers also alleged that the VC is now engaged in various irregularities and taking various whimsical decisions. An allegation runs rife that the VC gave the post of BAU ICT director to Prof Ali Ashraf because he was involved in the politics of Sonali Dal. Ali Ashraf, a teacher of Farm Structure Department, was an executive committee member of Sonali Dal in 1996-97 and performed duties of Election Steering Committee of Sonali Dal in 1997. The incumbent administration awarded the post of BAU admission committee convener to Prof Subhas Chandra Chakravorty, a teacher of Fisheries Technology Department. He was also an executive committee member of Sonali Dal. Prof Kazi Shahanara Ahmed of Entomology Department, who was on the Election Steering Committee of Sonali Dal in 1997, is now an influential teacher of DTF for the VC blessings. Kazi Shahanara was provost of Sultana Razia Hall few days ago and also director of Agriculture Museum. Prof Ferdous Mondal of Horticulture Department, who was also a member of Sonali Dal Election Steering Committee, is now an influential person of DTF due to an alleged nexus with the VC. A DTF probe body in May 2015 found various allegations against Prof Abu Hadi Nur Ali Khan and recommended the authorities concerned for being cautious in awarding him any post at the university and pro-AL platform. But, the present administration put aside the recommendation and made Abu Hadi director of BAU central laboratory. The body also received anti-organisational allegations against Prof Mohir Uddin and Prof Syed Ehsanur Rahman and recommended the DTF leadership that the duo be expelled from pro-AL panel. But, Prof Mohir is performing duties of provost of Ashraful Haq Hall and Prof Ehsanur is performing duties of provost of Shahjalal Hall because of ‘blessings’ from the administration. The activities of the BAU administration are not only limited to sheltering pro-BNP and controversial academics, but also harass pro-government academics. The administration in 2016 removed Prof Anwar Hossain from his post of head of farm structure and environmental engineering department as he refused to award marks to some copied thesis papers. Prof Anwar, also a member of pro-government platform, has also been removed from admission test duties during the 2017-18 session and the teacher is still facing harassment for protesting against plagiarism. Corruption in appointment of employees in master-roll was a much-talked-about issue during former BAU VC Prof Rafiqul Haque. Haque was forced to resign for such alleged corruption and irregularities. The administration also faces allegation of irregularities as it continues to hire employee in master-roll and seasonal employees. To do this, the BAU is axing some employees in lieu of regularisation of their jobs. Despite repeated attempts over mobile phone, the daily sun correspondent failed to take comment from VC Ali Akbar, as his phone was switched off.